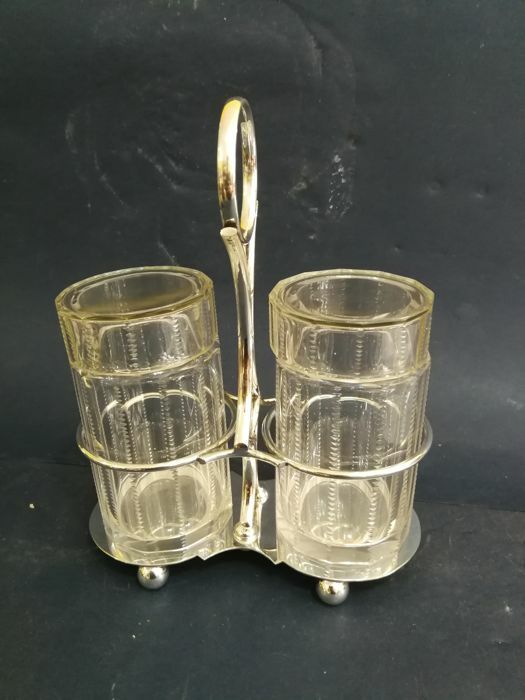 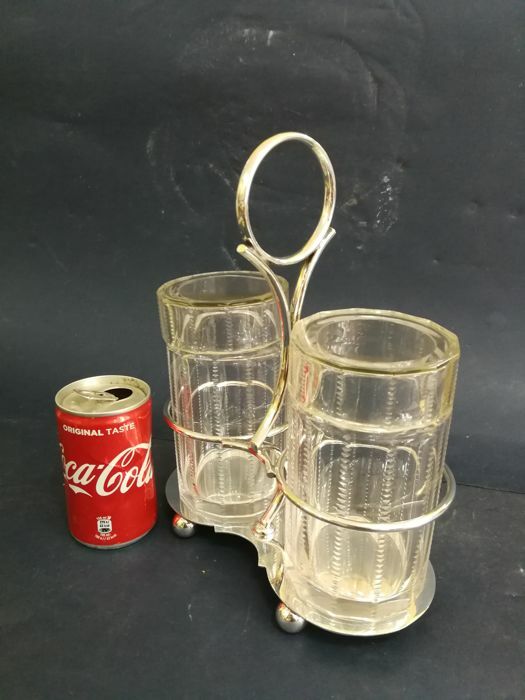 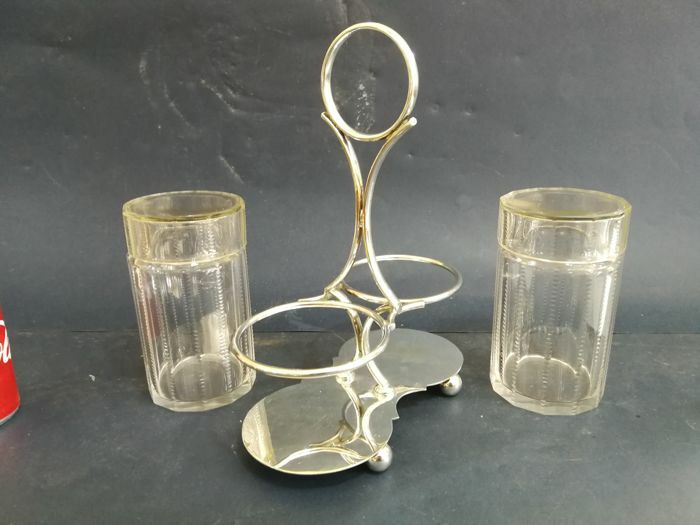 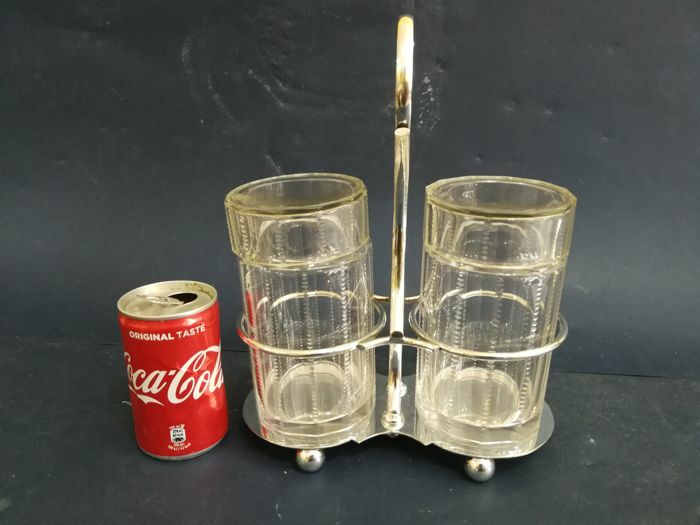 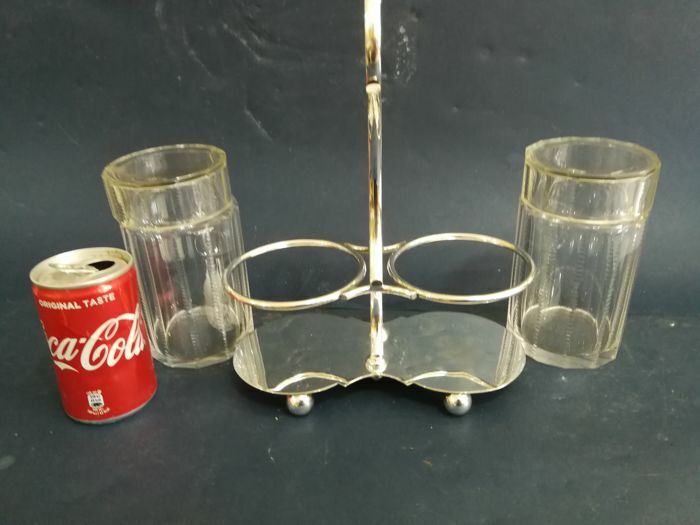 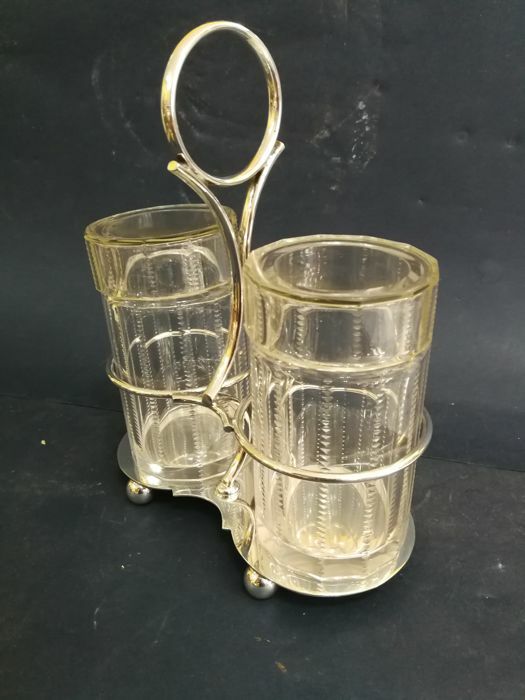 Lot 740 - Condiment set consisting with two glass inserts and a silver plated stand. 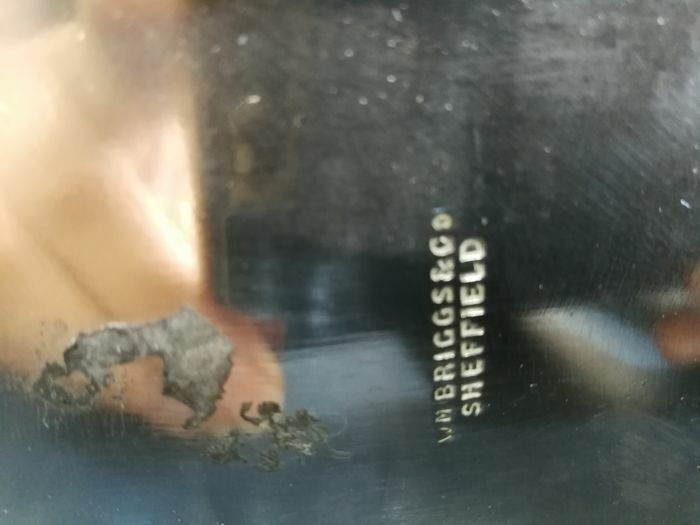 Marked at the base with W.M Briggs & Co, Sheffiled. 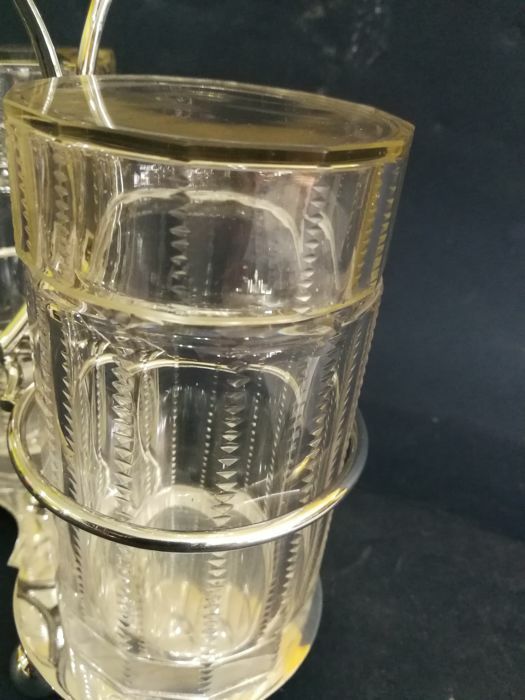 Due to logistical reasons, the purchased items can only be shipped and are not available for pickup.